Brontophobia, also known as astraphobia, astrapophobia, ceraunophobia, tonitrophobia, or nicaduranaphobia is an abnormal fear of thunder and lightning. It is a type of specific phobia. Both humans and animals can develop it and this phobia can be treated. Fear of thunder and lightning in patients with brontophobia goes beyond the normal fear of what can reasonably be frightening for this power of nature. In brontophobia the fear will interfere with the patient’s ability to perform their normal activities and will impede them from living a normal life, surely during the thunderstorms at least. The term astraphobia originates from the word ‘astra’ that means ‘weapon’. This is because of the mythical demigod called Indra who used thunder and lightning as a weapon to bring fear to the Earth. Those with astraphobia or brontophobia may find this origin particularly fitting. What are signs and symptoms of Brontophobia? Brontophobia is a fear that affects different types of person. Some patients are just too sensitive to loud noises like children. Others might have diagnosed anxiety or its brontophobia is manifestation of their fear of death. On the other hand, some people may just have a simple phobia to lightning. Persistent and Excessive Fear: Persistent fear means the fear of thunderstorms is not depended on certain variables and it does not come and go but it exists always when individual is aware of a storm or the possibility of a storm to come. Both the presence and the anticipation of storms cause distress to such persons. Recognition That Fear Is Excessive: In normal situations, adults realize that the likelihood of being hit by lightning are very low, particularly if person is old enough to know how to protect from lighting or that he/she is protected by the lightning rods which are present on most buildings. However, this knowledge is not enough to make the person with brontophobia to stay calm when exposed to storms. Obsessive Avoidance of Storms: Hence, this might look impossible, but people with brontophobia will always find ways to “avoid” storms, no-matter how. Often, this avoidance interferes with the person’s capability to function normally. Some persons with brontophobia are obsessed over weather forecasts, while others show agoraphobic behaviors and refuse to leave “safe” spaces in order to avoid going outside where they will be “vulnerable” to storms. Other symptoms may include: hiding in “safer” places such as underneath a blanket or inside a closet, trying to block out the sound of thunder and seeking company and reassurance of personal safety from others. It should be also known that the fear of storms must not be always a result of another disorder, such as panic disorder or agoraphobia. Additionally, in patients younger than18 years of age, described fear reactions must persist for at least over six months for and then brontophobia ca be confirmed. What is the difference between natural fear and brontophobia in children? In children it may be very difficult to find the difference between a phobia and a natural fear, as children have no experience with aspects of the world around them and may be worried by things most adults rationally know to be harmless and hence do not fear. As they growing up and learning what is dangerous and what is not, children experience many fears. Children’s’ fears can in general be reduced temporarily by interruptions during stormy weather, or by making the storm into a game. However, if a child has anxiety symptoms during bad weather, and lasts longer than 6 months, it may be considered a brontophobia and should be treated. If treated early on, this phobia has less of a chance of developing into more serious disorders, such as agoraphobia and panic attacks, after time. Desensitization treatment can be used for variety types of phobias. Its principles are based on behaviorism school of psychology that looks at the role of associations and how developing negative associations can provoke certain stimuli to have negative effects. In the case of brontophobia, those negative side effects may be because of scary encounter during a thunderstorm in a childhood. Thus it is suggested that in the similar way you could also develop more positive associations by your positive thoughts, emotions or feelings when facing the thunderstorm. For achieving this, patients would simply need to be frequently exposed to thunderstorms and having a good experience so that in their mind the thunderstorm and the good experience become linked. Similarly they can remove the old negative association and fear by constantly being exposed to the thunderstorm with nothing bad happening to them. It can be done by direct exposure to thunderstorms or simulations where you would become much closer to the center and thunderstorms would become much louder. Each time you experienced positive association you would be encouraged by the therapist and might be given a reward such as a chocolate. At the same time you can do some relaxation techniques that can help you to calm down and decrease your heart rate, sweating and panic in the presence of the frightened stimuli. Over time you would eventually create new positive associations so that your brain accepted that thunderstorms are nothing to be afraid of and so that you managed to stay calm and courage. Cognitive behavioral therapy or CBT gives an additinal component to the basic behavioral model with a cognitive feature that looks inside human thoughts and how these affect our emotions and behavior. Patients with brontophobia have unusual negative thoughts during weather storms, such as ‘it’s going to hit my house ‘or’ it’s so loud or it’s right on top of us. In cognitive behavioral therapy you are taught to identify these negative thoughts that are causing or worsening the phobia and then to eliminate or to replace them with more positive thoughts such as ‘it’s a long way away’ or ‘the chances of getting struck by lightning are so minimal as to be of no concern’. Cognitive behavioral therapy also combines methods such as meditation and breathing exercises and may also use ‘biofeedback’ in order to get patients to control and monitor their own heart rates to bring them to more acceptable levels. In some cases, psychiatrist may choose to use medication such as anti-anxiety drugs for specific phobia in order to treat the symptoms of patient’s anxiety. Drugs can be effective in bringing the anxiety symptoms under control; however all of these drugs have side effects, may cause addiction and may be expensive. There is also a chance that condition will reoccur after medication therapy is abrupt. But due to the relatively infrequent occurrence of lightning and thunder, patients may optionally in preventive purpose use anti-anxiety drugs as directed by their doctors. Sedatives such as diazepam or clonazepam that relaxes muscles and reduces anxiety. How SSRIs work in the body? Serotonin is a neurotransmitter in the brain that has many functions, including regulation of mood and anxiety. SSRIs have been shown to have a positive effect on anxiety disorders, including phobias. However, some findings have been revealed that older adults may face increased risks from SSRIs as they may also take other prescription drugs that can interact with SSRIs. Tehir bodies may also become less tolerant of drugs in general. Additionally, some studies have found that older adults who take SSRIs for a long-term may be at increased risk of bone fractures. Since 2005, FDA has announced that all antidepressants, including SSRIs, carry a black box warning indicating that they may increase the risk of suicide in children and teens. In 2007, this warning was expanded to young adults under age 25. But these drugs aren’t exclusive for use and with careful monitoring of your child’s reactions during treatment they can be used efficiently. If SSRI drugs were used during long-term, they should never be abrupt suddenly. Antidepressants such as SSRIs in particular, have been rumored about increased risk of suicide in patients who use them. While it is important to deliberate this risk, it is also important to balance it against the benefits of taking the medication. Each situation is different, and only you and your doctor can determine whether SSRIs are needed for you. 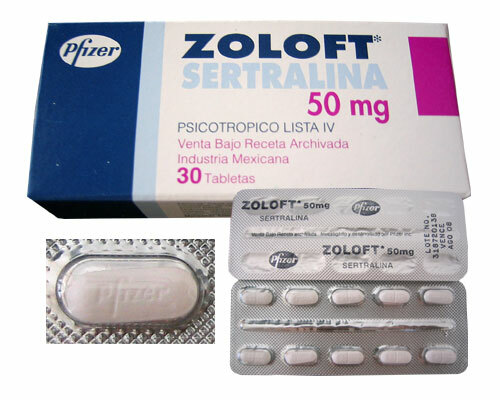 In some rare cases SSRIs drugs may cause a serious and potentially lethal reaction called Serotonin syndrome. It is rare for serotonin syndrome to develop even after overdose of an SSRI, but combining SSRIs with certain other drugs such as MAOI, can dramatically increase the risk. Although there is little evidence that abrupt discontinuation of SSRIs can be life and physically dangerous, symptoms can be unpleasant and difficult to handle. Hence, SSRIs should be always discontinued gradually. Tapering off the medication under your doctor’s recomendations can help to minimize or even eliminate many of these effects. SSRIs are drugs that are most commonly prescribed for management of social phobia but they may be used in combination with other treatments for agoraphobia and specific phobias. These drugs are common and generally considered to be reasonably safe. Be sure to mention to your doctor about all of your medications you are taking including herbal remedies, vitamins, supplements, and over-the-counter products. Cautiously follow your doctor’s instructions and bring any suspicious symptoms or behavioral changes to your doctor attention. Beta blockers drugs such as propranolol and atenolol can be helpful in the treatment of the physical symptoms of anxiety including phobia such as rapid heartbeat, trembling, shaking, sweating and blushing. Doctors prescribe them to control anxious situations for several hours. They are mostly prescribed for the treatment of social phobia. Propranolol (Inderal): Propranolol may reduce some peripheral symptoms of anxiety, such as tachycardia, general tension and sweating. If it is taken occasionally, propranolol causes almost no side effects. Some people may feel a little light-headed, short-term memory loss, sleepy, unusually slow pulse, diarrhea, cold hands and feet, lethargy, insomnia, numbness and/or tingling of fingers and toes. Atenolol (Tenormin) is longer acting compared to propranolol and generally has fewer side effects. It has less of a tendency to produce wheezing than other beta blockers. Once-a-day dosing is convenient. 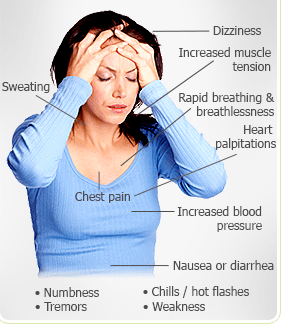 Atenolol may cause following side effects: cold extremities, dizziness and tiredness. Less frequent is a decrease in heart rate, depression, and nightmares. TCA drugs are not typically used for the treatment of phobia. They can be used when phobia is accompanied with depressive disorders. These drugs are often very effective in reducing panic attacks and elevating depressed mood. Tolerance on these drugs does not develop and they are non-addicting. However they have delayed onset of actions (take from 4-12 weeks) because of that they are not effective for ocassioanl treatment when thunderstorms come. They may cause many unpleasant side effects. Make a Calming Mantra: It may sound silly but many therapists who treat patients with agoraphobia recommend repeating of calming phrases during a storm in order to bring back patients from panic to reality. One of the tips is to think about mantra that involves objects, remembering or people that make you feel happy and calm, and make it in a form of rhyme so that it’s easier to remember in an emergency. Controlled Breathing Exercises: Controlled breathing will help patients with this specific phobia to stay calm as long as possible when they are challenged with storms. Yoga and Zen may also help to reduce the stress and to teach the brain that conscious and minds are in control, rather than instinctive fears. Erase and Replace Negative Thoughts: Try to find out and figure what you usually do and think about during storms. Writing during a storm, or just pretending to write during a storm or writing about how you feel when storms come are good ways to do this. Once you know, try to replace those negative thoughts with positive strings or cycles that can help you ride to overcome your fear rather than worsen it. Stay Calm before or during the Storm. Take all skills you learned such as mantra, controlled breathing and positive thoughts patterns into action during the next storm. Try to achieve total calm before storm ends. This will help to train your brain in order to stop responding to storms with excessive fear, and instead to expect to feel calm and relaxed when storms happen again. Hypnoanalysis or Hypnotherapy is a therapy method by which a person, with the support of a trained specialist, has his or her subconscious mind opened to proposal for the purpose of changing one or more behavior patterns. When the subconscious is spoken to directly, it may be possible to find the problem that triggers phobia and may introduce new ideas and positive suggestions. These positive suggestions may then be used to help make the changes you desire. Teaching the brain to attach different feelings to their phobia can usually be accomplished in a several sessions. Some patients however don’t like playing with their minds. However, hypnotherapy is considered to be safe and works fast. It has been approved as a method of therapy since 1958 by the American Medical Association. Neuro-Linguistic Programming is actually the study and practice of how we create our reality. The basic principle of NLP is that the words we use reflect inside our subconscious perception of our problems. If perceptions and words are not accurate, they will create a problem as long as we continue to use and to think them. In this therapy a neuro-linguistic therapist analyses every word or phrase you use in your symptoms descriptions or concerns about your health. Also, therapist will examine facial expressions and body movements. After defining problems in your perception, the therapist will help you understand the origin cause. Once origin that causes the problem is identified, therapist will help you to remodel your thoughts and mental relations in order to fix your preconceived ideas. These preconceived notions may the cause of phobias or other mental issues. Energy Psychology is a type of therapy that uses different methods, such as acupressure, yoga, t ai chi, qi gong, prana and energy medicine, and teach people how to make simple steps for making changes in their lives. The methods stimulate energy points on the surface of the skin which, when matched with specific psychological actions, can shift the brain’s electrochemistry. While this type of therapy is still alternative and controversial area, it appears to be very help with dealing with phobias including brontophobia. Dogs are known to show severe anxiety during thunderstorms. Between 15 and 30 % of dogs may be affected. Studies showed that high levels of hormones associated with stress such as cortisol affect dogs during and after thunderstorms. The concentrations of cortisol in saliva increased extremely in frightened dogs during thunderstorms, and the levels stayed high for a long time afterwards. Some dogs already know when a storm is coming hours before it arrives, and some of them respond to flashes of light. But by far, most respond to the sound of thunder. Remedies include behavioral therapies such as desensitization and counter conditioning, anti-anxiety drugs and DAP – Dog Appeasing Pheromone, a synthetic substance of a hormone secreted by nursing canine mothers. Studies have found that cats can be also afraid of thunderstorms. Although it is very rare, cats have been known to hide under a couch or table during a thunderstorm. Generally if any animal is anxious during a thunderstorm or any similar, practically harmless event such as fireworks display, it is recommendable to simply continue behaving normally, instead of attempting to comfort animals. Showing fearlessness is, perhaps, the best method to “cure” the anxiety. Lilapsophobia is a type of astraphobia, an abnormal fear of tornadoes or hurricanes. Lilapsophobia is considered the more severe type of astraphobia than brontophobia. Like other phobias, lilapsophobia is also caused by an unwanted potentially life-threatening experience, specifically tornadoes or hurricanes that may cause destruction, injuries or loss of loved ones. People with such phobia should seek professional advice, especially to be determined if a person is suffering post-traumatic stress disorder. In some rare cases this phobia can be caused by reading the news about tornadoes or hurricanes using the media, on television, radio, internet or newspaper, even though they happened far away from their homes. Like many other phobias, lilapsophobia can also be treated efficiently using cognitive-behavioral therapy, but if it is the cause of post-traumatic stress disorder, then alternative therapy may be more recommended. Yoga:There’s early evidence that yoga may be able to help anxiety disorders, which is good news for people with phobias. Like meditation, yoga can help to lower your stress levels. Your phobia may still appear, but with regular yoga, your symptoms may be less severe. Visualization: Visualization is the art of taking your mind through a series of calming images. Some phobia sufferers find that using visualization techniques can help to lessen a phobic reaction that is already in progress. Progressive Muscle Relaxation: In this technique, you will begin at your feet and rhythmically contract and relax each muscle group, in turn, working your way up your body to your head. This is another great technique to use when confronting your feared object or situation. Autogenic Relaxation: Autogenic relaxation involves blending visualization techniques accompanied with purposeful breathing and repetitive physical motion. This is tricky to learn on your own, so find out if your doctor or therapist can teach you. Relaxation techniques are learned skills. If they are well trained they can be very efficient. Challenging your phobia is not easy, but using these relaxation tips can help you get through the situation you are feared. Simple lifestyle changes can also help you get your phobia symptoms under control. It’s important to try to make exercise, to have proper sleep and healthy meals a regular part of your life. You may also want to avoid energy drinks, caffeine and other stimulants so that you feel more relaxed. Homeopathy is a system of holistic medicine that was widely used during the 18th and 19th centuries, and which still has dedicated followers today. Homeopathy uses small quantities of toxic substances to treat diseases. Patients, who are considering homeopathic remedies for their phobia treatment, should consult a homeopathic expert as well as a medical doctor. The substances used in such products can be extremely toxic and can cause illness or death if the homeopathic remedy is not prepared in proper way. Homeopathic medicine is not widely accepted in the medical community today. Aconite, Stramonium, Nux Vom, Cuprum met, mercurius, Arsenic album, Arnica mont., Calcaria Carb , Belladonna, Cuprum aceticum, Bryonia, Gelsemium, Lyssin, etc. are homeopathic remedies that is used widely to treat fear or phobia of death, darkness, noisy places, music,. fear of death during pregnancy, fear of ghosts etc.. Remedies, prepared from naturally occurring safe and no-addictive herbs, become very popular, and some mental health professionals are beginning to recognize their usefulness. However, larger and relevant controlled studies have not been yet performed, so the long-term safety and efficacy cannot be guaranteed. The guidance of both a doctor and herbalist is recommended as some natural remedies may have unwanted side effects if combined with prescription anti-anxiety drugs. Additionally, natural remedies are sold without the strict quality assurance that are in place for conventional drugs. The advertisement for group Cognitive Behavioral Therapy sessions for phobias may call the therapy session a seminar. The duration may be one hour or several days. A group of people with fear thunderstorms may assemble places where bad wheather is expected and where they might engage in a combination of psycho educational classes and exposure sessions. Individual therapy allows the therapist and patient to focus on each other, building a rapport and working together to solve the client’s issue. However, psychoanalysis and related therapies may progress for months or even years, while concrete such as Cognitive Behavioral Therapy can produce same results in just a few sessions. If the therapist thinks that your family situation may be contributing to the development or progression of the specific phobia or that family support can be effective, then the therapist may propose family therapy as part of a treatment plan. A particularly common application of family therapy places the therapist in the role of facilitating one or more communication sessions between the family members. Family therapy is a common part of treatment plans and can be very effective for children with phobias.